A bright and spacious one bedroom first floor flat in this popular development situated just 0.3 miles from the station and being offered with allocated parking. This light and bright one bedroom first floor flat is presented in excellent condition throughout, offering an open plan lounge/ kitchen with new hob and oven as well as integrated fridge/ freezer, large double bedroom with a bank of wardrobes, large bathroom with separate shower over the bath and plenty of storage as well as video entry. There is the benefit of an allocated parking space, long lease and merely 0.3 miles from the main line station. Situated within a popular development we highly recommend an early viewing. 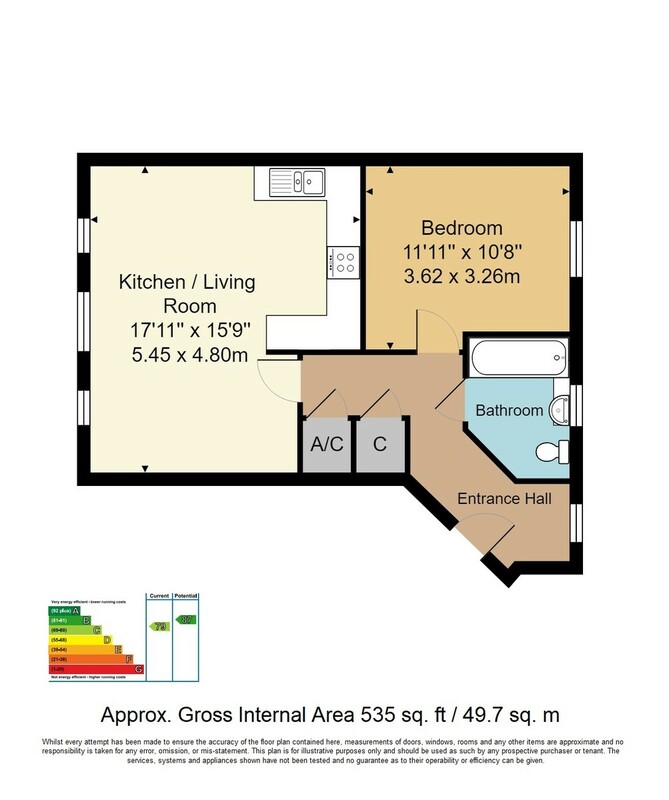 ENTRANCE HALL: Double glazed window to side, entry video phone system, radiator, wood floor, storage cupboard housing consumer unit, further cupboard housing hot water tank. LIVING ROOM: Three double glazed windows to rear, wood flooring, radiator. KITCHEN AREA: A range of wall and base units with laminate worksurfaces, space and plumbing for a washing machine, 1 and a half sink unit with drainer and mixer tap, induction hob and oven underneath, stainless steel splashback and extractor hood, integrated ceiling spots and two radiators. BEDROOM: Double glazed window to side, radiator, range of fitted wardrobes. BATHROOM: Panel enclosed bath with separate shower over and tiled splashbacks, basin set in vanity unit, frosted double glazed window, WC, wood floor, heated towel rail, ceiling spots and an extractor unit. OUTSIDE: 1 allocated parking space.